2. Open your recovery (press volume Up + Home+ Power button or it can be different in some other Device: (if it doesn’t work, you can use Google etc. to get your device info). 4. After completing Step No. 3, then select “update” and select “apply update from SD/external” and select aroma file manger.zip (the .zip file you downloaded by searching on Google etc.). 5. After Flashing or updating, the Aroma File Manger will open. Use volume keys for up/down and power button to select. 6. In Aroma File manager, Go to menu by pressing left key, which is located in bottom strip and then select Settings. 7. Go to bottom and select “automount all devices on start ” then exit from Aroma File Manager. 8. Now after exit, re-update that Aroma File Manager again and it will open again. 9. After Step No.9, go to data >> System. Then find the ‘gesture.key’ (for pattern lock) and ‘password.key’ (for password lock) then long touch on gesture key or password key and some option will be prompted, choose delete to delete that file and restart. After that draw any random pattern to open the lock. Note: Use Exit option in Aroma File Manager, don not direct reboot in Recovery. 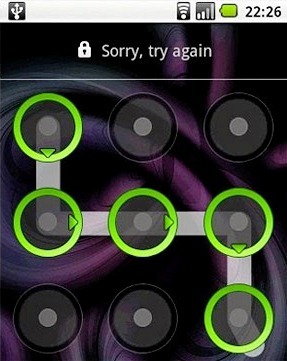 Now enjoy, you have successfully unlocked your Smart Phone.